San Diego civic leaders gathered outside a factory making underwater robots to urge Gov. Jerry Brown’s signature on a bill that would let community colleges offer four-year degrees in technical subjects. State Sen. Marty Block said Senate Bill 850, which he authored, would be a “game changer for higher education and workforce development in California” by preparing students for jobs in growing technical fields. “The UCs and CSUs cannot need this need alone,” Block said. 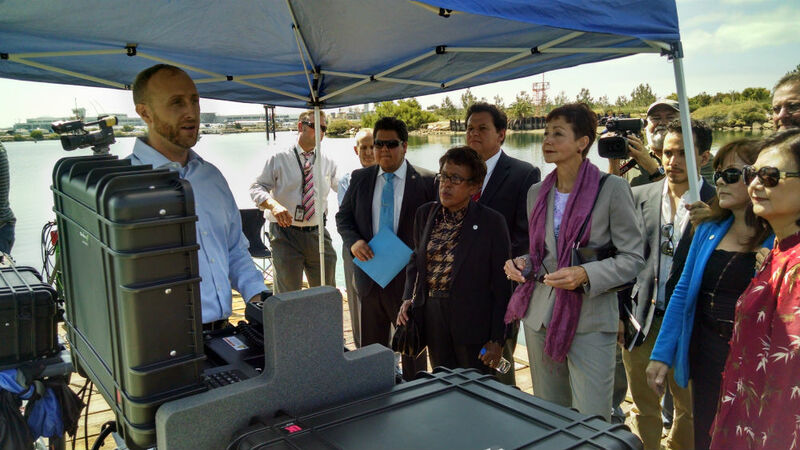 Joining Block at Seabotix at Liberty Station were Constance Carroll, chancellor of the San Diego Community College District; Cindy Marten, superintendent of the San Diego Unified School District; Jerry Sanders, president and CEO of the San Diego Regional Chamber of Commerce; and Larry Blumberg, executive director of the San Diego Military Advisory Council. Block said the bill would not change the mission of the state’s community colleges, but recognize the changing needs of the workforce. In many cases, two-year degrees aren’t sufficient in many technical fields, he said, forcing students to turn to expensive for-profit colleges. Carroll said 21 states already allow community colleges to offer four-year degrees. She said San Diego’s community colleges would be ready to do so in January if the bill is signed. “We’re ready to go and ready to put students to work,” she said. Sanders said the chamber sees the effort as “a long-overdue remedy to the shortage of trained workers” in San Diego and elsewhere in California. 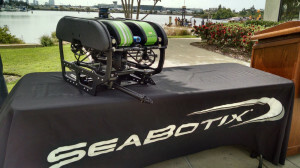 Seabotix makes underwater robots that can be used by in oil and gas industry, scientific research and aqua farming. President Rick Timm said the growing company has a constant need for trained technical workers.